Now that the John Lewis Christmas advert has dropped, is it acceptable to start posting about Christmas? I think so. Christmas is about enjoying the little things; snuggling up under a blanket, watching cheesy movies and enjoying little treats. At Christmas I always want to bake. Mince pies, cookies, cakes- it reminds me of my childhood. It’s a fun activity anyone can do and it’s something you can do together too. Which is why I’m sharing with you my Christmas Bauble chocolate chip biscuit recipe. This recipe came about after hearing about We Bake, the new online baking social media platform. It’s a mix between Pinterest and a micro blogging site and advice board for bakers. I opened a profile and found you can share recipes, tips and advice with fellow bakers. But also I found there are challenges posted by the moderators to get involved in. We Bake is also a community that rewards you for baking. In the run up to Christmas, We Bake has launched their challenge to find the best bauble bakers. Which is where I thought, hey, why not, I can do that! Plus 50 people will be chosen to have their edible bauble hung on the We Bake Christmas tree, over in Westfield London shopping center. That’s pretty neat. So if you are thinking of entering (enter here), then here is my entry (come connect with me on the site too) for your inspiration. Hey, if I can do it, there is no excuse for you. · Cream the butter and sugar together in a bowl. · Sift both flours and the cocoa powder into the butter-sugar bowl mix. · Hand mix it together until it becomes a breadcrumb consistency. · Finally mix in the egg, vanilla and the chocolate chips. · Roll out evenly until about a cm thick. 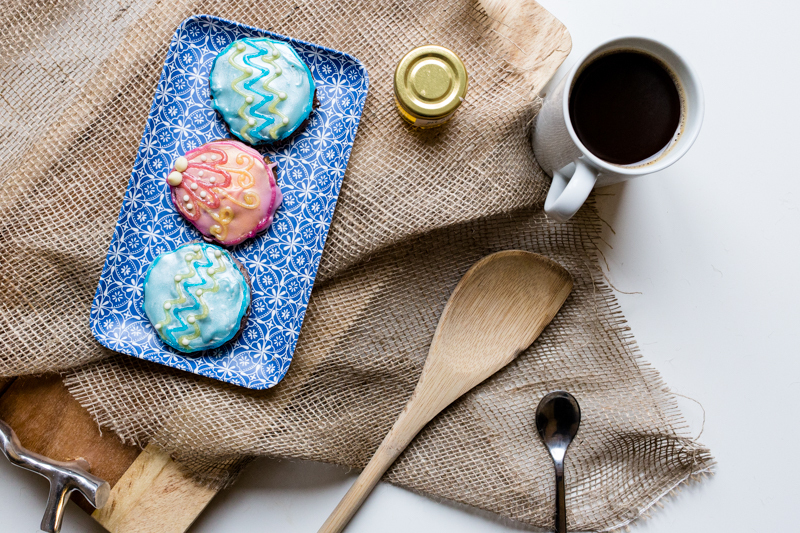 · Using a cutter, cut out circular cookie shapes and place onto a greased baking tray. · Bake in the center of the oven for 15-20 at 180c checking until they are golden. · Once cool, squeeze out the icing onto the biscuits, and smooth out with the back of a spoon. 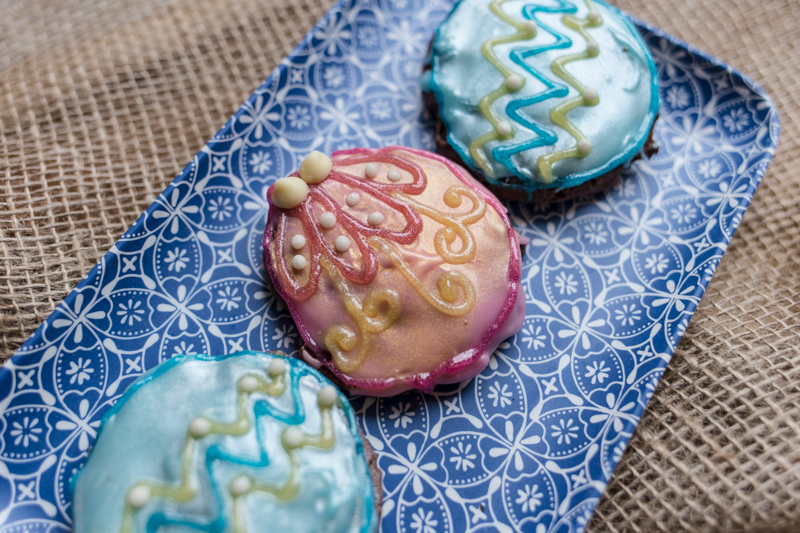 · Spray the gold spray onto the pink icing, and the silver onto the blue icing for a frosty finish. 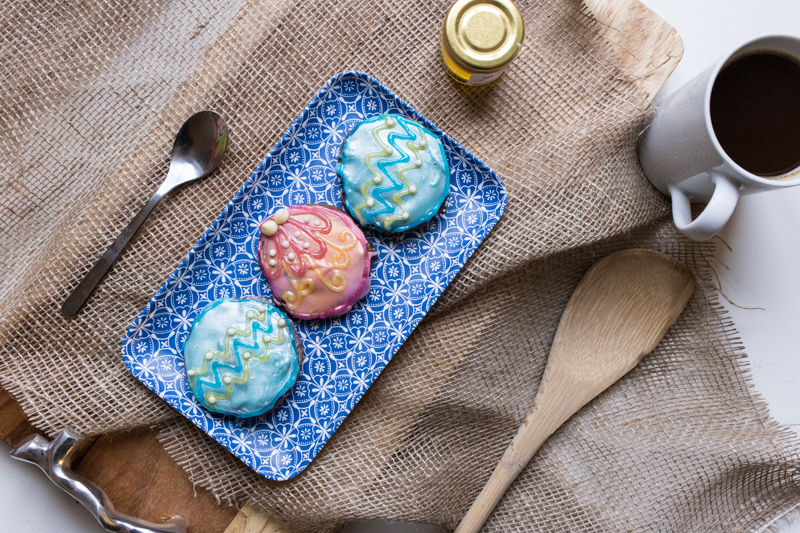 · Using the icing pens draw out your bauble designs. Below are what I chose, but that is up to you and your creativity! 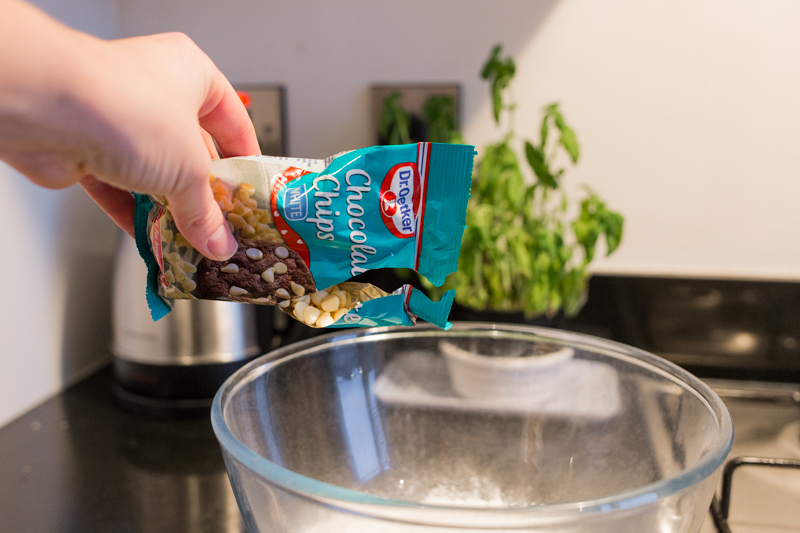 · Finish off with a few choc chips and chocolate balls for the added effect. It’s really simple to do, and yet will make a great Christmas treat for your office or friends. 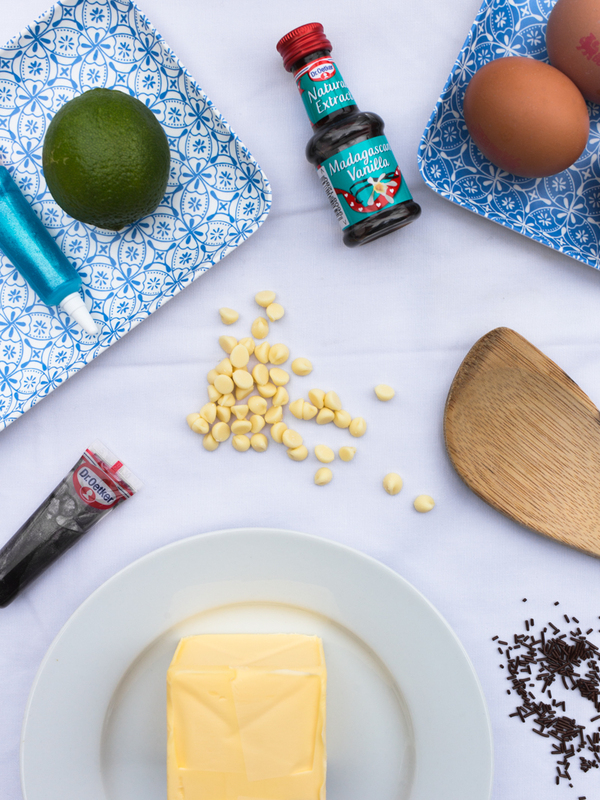 I’ve posted my recipe up on We Bake, so why don’t you sign up and join in the challenge. This post was sponsored by We Bake. All views, photos and words are my own.